"Man City have taken top honours in all bar five of their last 37 league outings, won 16 of their previous 19 home Premier League matches and returned W17-D3-L0 when entertaining bottom-half teams under Pep"
Manchester City boss Pep Guardiola says his side will get even better after watching the Citizens deservedly beat Arsenal 2-0 on the opening day of the Premier League season. Raheem Sterling and Bernardo Silva notched as the defending champions started with a convincing away victory. The triumph followed on the back of City claiming Community Shield glory seven days earlier against Chelsea at Wembley, and while the Citizens certainly weren't at their best against Arsenal, there was enough evidence to suggest Guardiola's group will again be the team to beat at the top of the table. The hosts will be without star man Kevin De Bruyne for a couple of months after the Belgian picked up a knee injury and so Ilkay Gundogan should keep his place in midfield. Elsewhere, Danilo and Eliaquim Mangala remain sidelined for City with few major changes anticipated for Sunday's side. Huddersfield kicked-off their second season in the Premier League with a thumping 3-0 home defeat to Chelsea. The Terriers hit a post Steve Mounie's header when one goal down but rarely threatened the Blues goal with a sole on-target effort from a tame Alex Pritchard strike from distance. David Wagner fielded a three-man defence against Chelsea and may now look to revert back to a more orthodox four-man line here. New goalkeeper Ben Hamer's place is already under threat but Netherlands international Terence Kongolo was one of few highlights in a difficult opening fixture. Adama Diakhaby made his debut off the bench and will hope to start here. However, Danny Williams, Juninho Bacuna, Isaac Mbenza and Erik Durm are all expected to miss out for the visitors with injury and fitness concerns. Manchester City haven't scored at home to Huddersfield since they last managed to beat the Terriers as hosts, way back in 1987. Town have held the curse over the Citizens for some time and last season were the only visiting side to keep a clean sheet at the Etihad against Pep Guardiola's men. Indeed, City managed just seven shots on-target across their two Premier League games against Huddersfield last season, fewer than against any other side during the same campaign. Nevertheless, the record-breaking champions remain huge [1.11] favourites to clinch maximum points on Sunday. Man City have taken top honours in all bar five of their last 37 league outings, won 16 of their previous 19 home Premier League matches and returned W17-D3-L0 when entertaining bottom-half teams under Pep - that includes an aggregate 15-2 when welcoming last term's bottom-three. Huddersfield [38.00] claimed just three wins on their travels in 2017/18 and fired blanks in 13 of their 19 away tussles. David Wagner's troops failed to score in five of their six trips to the Big Six and suffered a 3-0 loss at Liverpool and 5-0 hammering at Arsenal. With very little value to garner from the mainstream markets, heading to Betfair Sportsbook's Same Game Multi (below) may present punters with more eye-catching angles of attack. 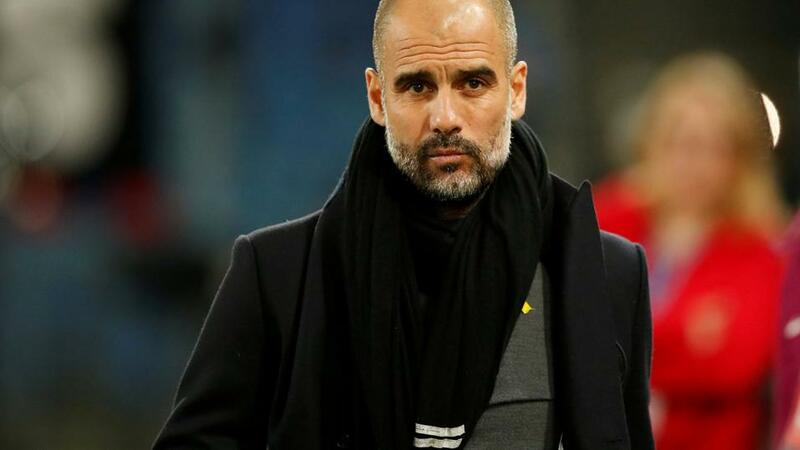 In Manchester City's previous 20 home games against bottom-half teams under Pep Guardiola, 18 (90%) have delivered two or more goals with 16 (80%) also breaking the Over 2.5 Goals barrier. The latter has also been surpassed in all bar two of the Citizens past 18 Etihad outings in the Premier League. The free-scoring hosts have scored at least twice themselves in 26 of their most recent 32 league fixtures, and while Huddersfield have failed to net in eight of their past 11 Premier League encounters, it's difficult to oppose goals on Sunday. Over 2.5 Goals hunters are offered just [1.40] on a repeat. As suggested earlier, extracting value from one of the Premier League's biggest mismatches in history is no easy task. However, if we head to Betfair Sportsbook's Same Game Multi market, there's a combination bet that looks very attractive at the [1.94] price it's offered at. Select Manchester City to win, Over 1.5 Goals and Both Teams To Score - No and we'll make money should the Citizens win without conceding by any correct score from 2-0 or above.